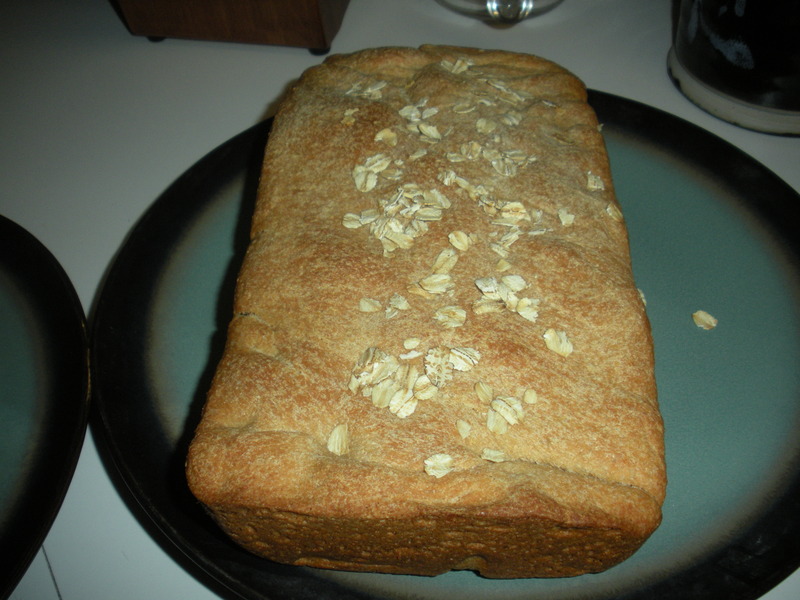 February’s selection in my “bread of the month” challenge was whole wheat bread. I used a recipe from The Bread Baker’s Apprentice: Mastering the Art of Extraordinary Bread. 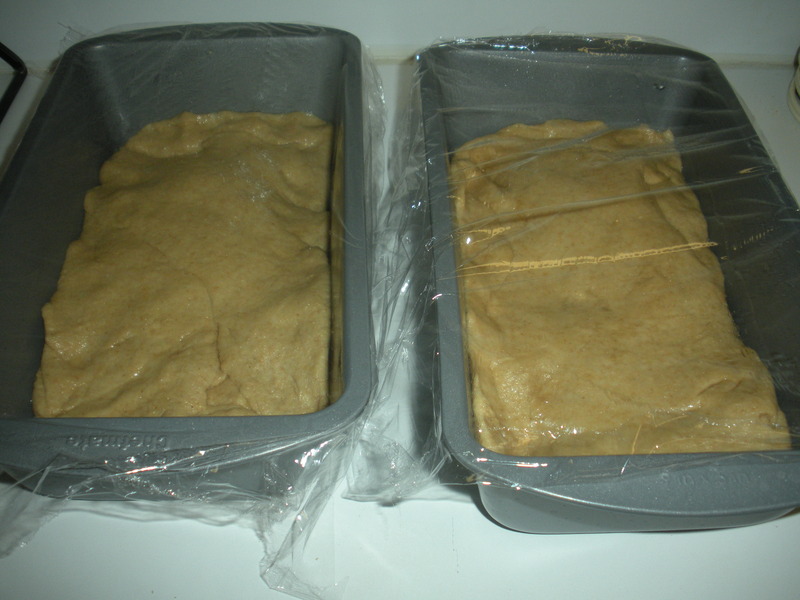 The recipe yielded 2 one-pound loaves. Many of the recipes in The Bread Baker’s Apprentice take two days to make. Yesterday I mixed up both a flour + water soaker and a poolish of flour, water and a bit of yeast. The soaker sat on my kitchen counter overnight and the poolish was refrigerated overnight after allowing it to rise a few hours. These techniques are supposed to enhance the flavor of the bread. 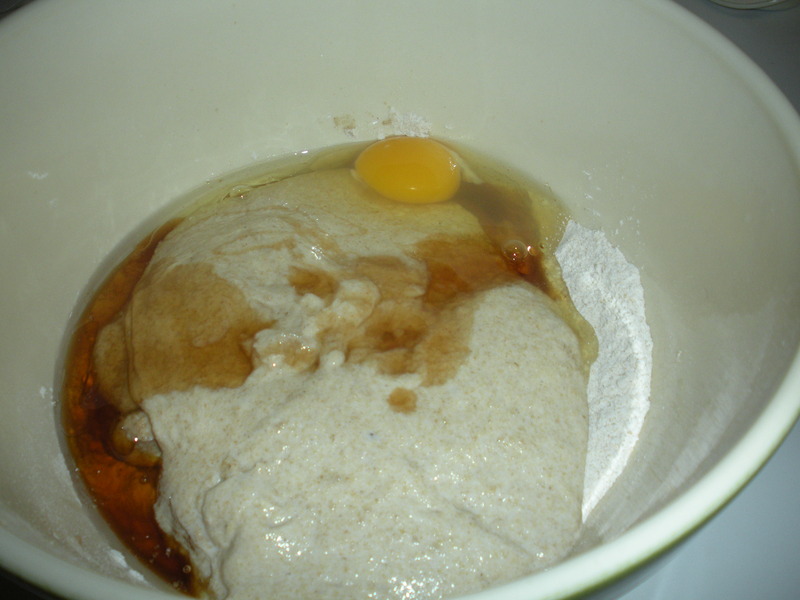 The ingredients were pretty simple: whole wheat flour, water, salt, yeast, the soaker, the poolish, honey, canola oil and an egg. After kneading the dough for 15 minutes, I left it covered on the counter to rise for another 2 hours. 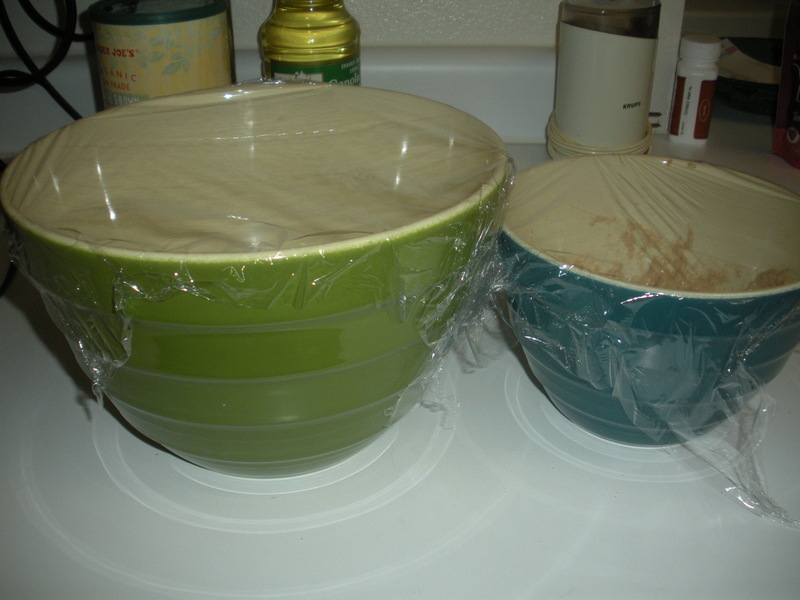 Then I divided the dough in half, shaped them into bread pans, and let them rise another 2 hours while I left to do karate. When I came home they had more-than doubled in size. 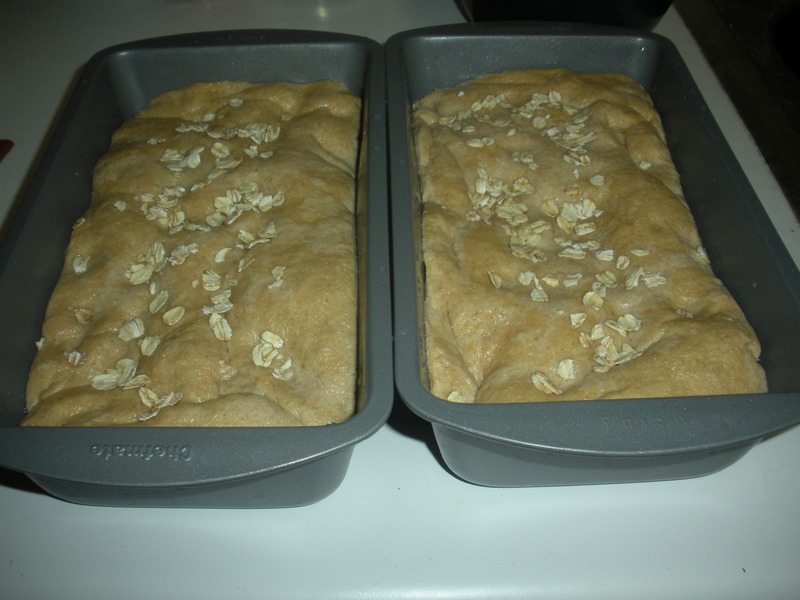 While I preheated the oven, I sprinkled water and rolled oats on top of the loaves to make them a bit prettier. They baked for about 45 minutes and came out of the oven a perfect golden-brown. I left them sit on the counter another hour to cool before sampling. They came out a little dry and dense, but tasty nonetheless. I love the process of baking bread from scratch. In March, I will be trying a recipe for a salt-free Tuscan bread. 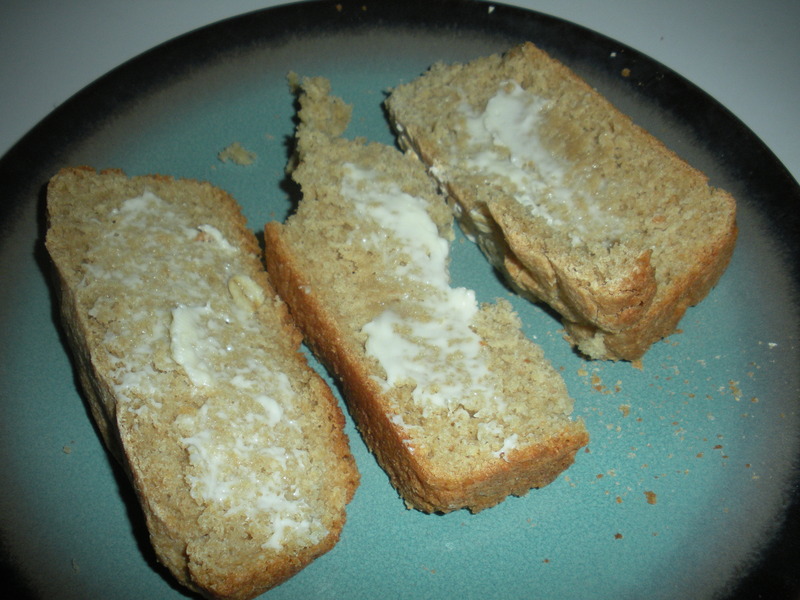 This entry was posted in DIY, Healthy Living, The Simple Living Experiment and tagged bread, bread baking, DIY, healthy living, simple living, wheat bread. Bookmark the permalink. I’m going to have to get a copy of this book. It looks like a lot of fun!